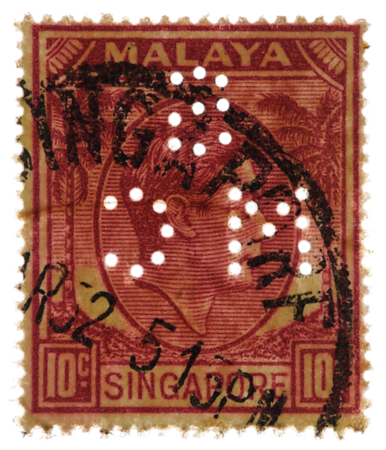 Philatelic consensus favours scanning over photographing stamps, but scanners do not reproduce the surface texture of paper and print very well. This is because the scanner's light source is always directly above the stamp, turning it from a three-dimensional object to a two-dimensional one devoid of microtopography. In a photograph, on the other hand, an oblique light source can be used to accentuate the surface contours, be they pits in the paper coating or the raised ink of a fine intaglio print. Indeed, the same principle is exploited by astronomers studying the lunar surface: craters of the moon are best discerned and analyzed when shadows are cast by oblique solar illumination. Furthermore, scanners often suffer from noise, loss of colour depth and loss of dynamic range at high dpi settings, resulting in inaccurate reproduction of colour and detail even with calibration. 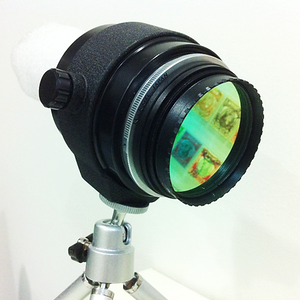 Philatelic microscopes and close-up lens attachments have similar limitations, as well as spherical and chromatic aberration and loss of contrast through lens flare. Attempts to mitigate these shortcomings by boosting sharpness, contrast and saturation in software will create even more spurious detail that is not actually there. This composite image shows the stamp as seen in daylight (right half) and under longwave ultraviolet irradiation (left). The UV excitation source is an array of indium gallium nitride light-emitting diodes with peak excitation wavelength 365 nm. A Baader Venus filter eliminates visible light contamination from the UV source. 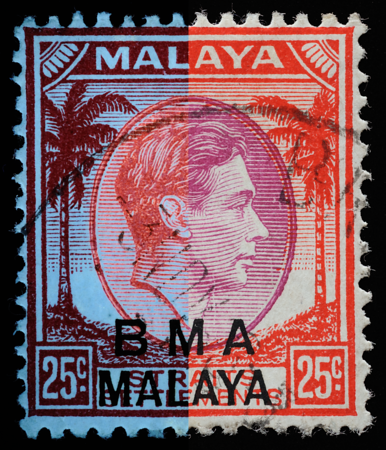 Planarity of the stamp was guaranteed by placing the specimen under an optically polished fused silica plate, which transmits ultraviolet, visible and infrared radiation. The plate has a coating that reduces surface reflections to 1.5% or less. UV source with Baader U2 Venus narrow-bandpass (320—390 nm) interference filter. 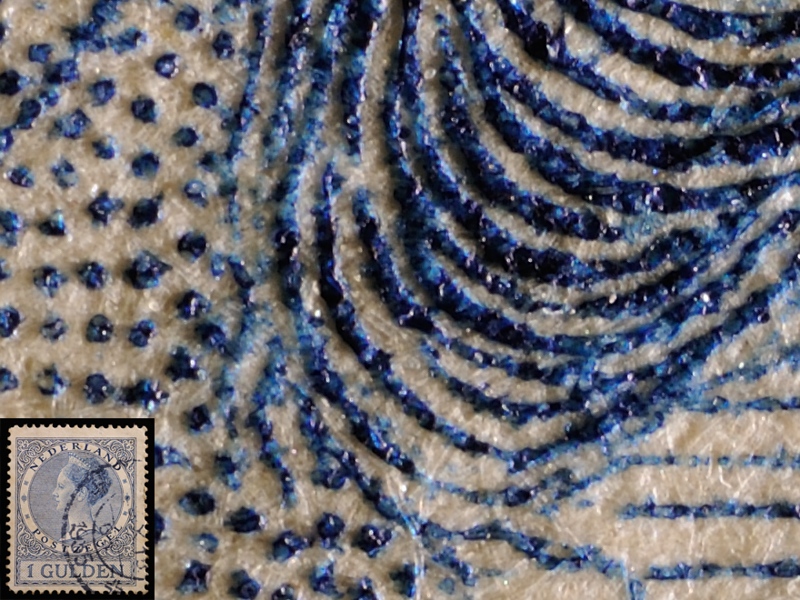 The conventional method of displaying perfins is to show the back of the stamp over a dark background (left), but the stamp's design cannot be seen in relation to the perfin. 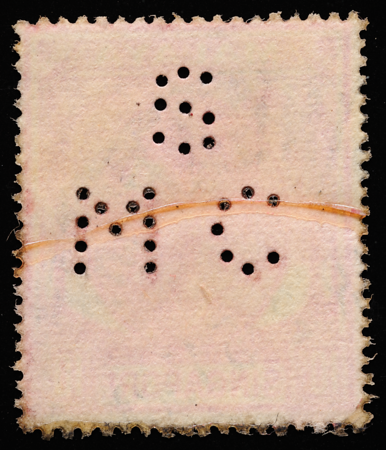 In the imaging technique developed by the author, however, uniform illumination from under the overturned stamp "spotlights" the perfins amidst a darkened but visible stamp design. An early improvised system with a professional-grade complementary metal-oxide-semiconductor sensor used by the author for high-magnification philatelic imaging, recording true physical detail free of digital sharpening. 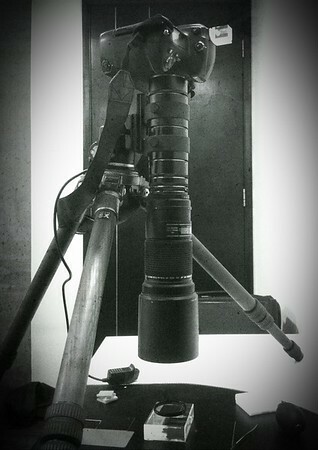 This has been superseded by a next-generation apparatus of even higher resolution, dynamic range, colour accuracy, orthogonality and planarity. Colour temperature is calibrated by means of a neutral-grey reference sample. 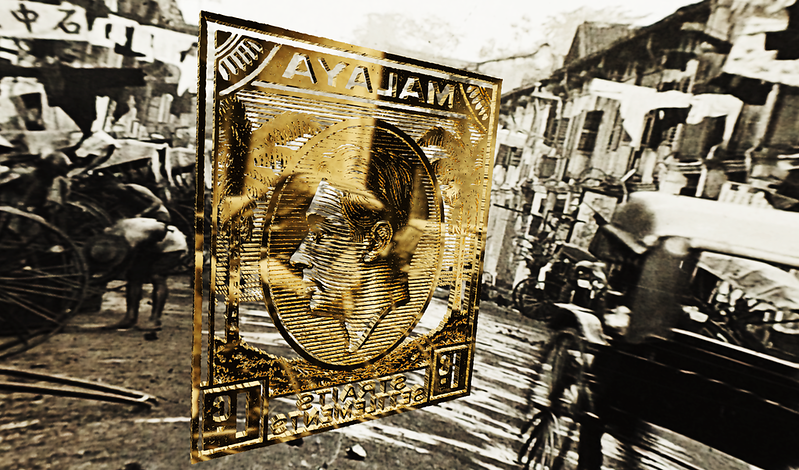 Vectorization, extrusion and levitation amidst the rickshaws of colonial Malaya.